We are in love with photography – but we're also in love about creating art pieces. We believe creating a love story through imagery has got to be our biggest passion. To tell a story of the couple themselves and just your typical wedding photos will always be our goal. We want to get to know you, how you act around each other, are you lovey, standoffish, quiet, cute? How about your passions and hobbies together? your beliefs and goals together? We want to know you to give you the ultimate experience! When you choose us, you won't have to worry about your photography. Shane and Dawn were so good to my husband and I! They are such talented photographers and I feel so lucky to have had the pleasure of working with them. They had to deal with some crazy wedding disarray the whole day and they didn’t even let us see them sweat! That is what we want for you! 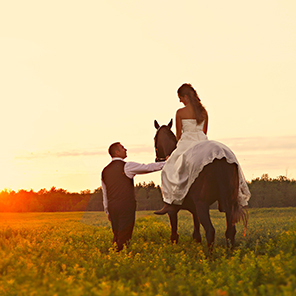 We want to help you create the wedding of your dreams so that you never look back and think “what-if”. We do this through our storytelling approach to wedding photography, and capturing all of the behind the scenes, raw and romantic moments that happen through you wedding day. We are there for you, but we are also there with you, not only as your wedding photographer but as your friend! This was our first Groom + Groom Wedding and the day was super short for us, almost a shotgun wedding type feel, get it done but with some class and the Sheraton Hotel in Hamilton…. Thank you! We will contact you in the next 24 hours tops! Shane & Dawn is a husband and wife wedding photography team, who value telling your story and creating Authentic, Dynamic, Relational images. We photograph weddings, engagement sessions and more in Ontario, Canada as well as destination wedding all over the world.